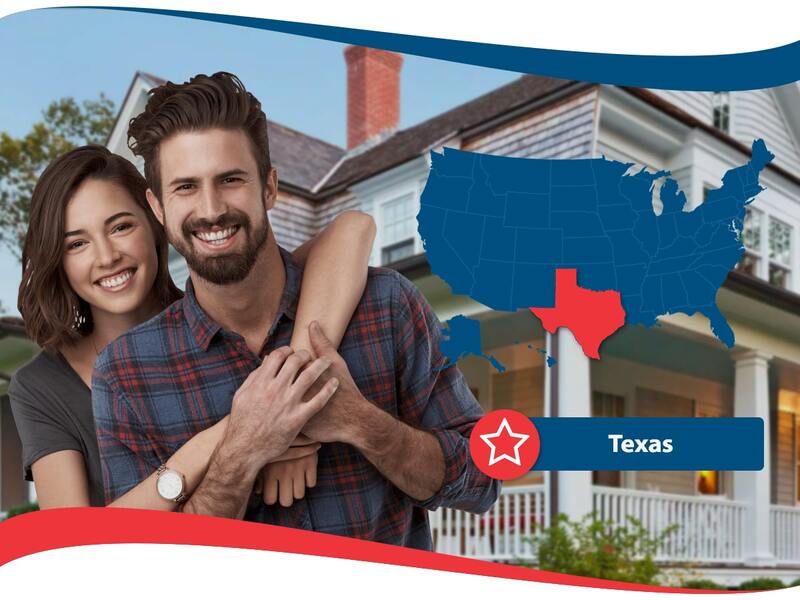 Texas is a big state with a lot of reasons to insure your home. There are all sorts of natural disasters that can happen here, and the usual reasons to insure your home too. Floods have been a bit Texas topic lately, as have powerful storms that can cause a lot of destruction. There’s hail, tornados and hurricanes throughout different part of the state. So you want to insure your home in Texas, but you don’t want to break the bank. It’s unfortunate to report that because Texas has so many natural disaster possibilities, the residents can experience on average the highest premiums in the country. But, we’re here to help you save. What is the cheapest home insurance in Texas? There are quite a few options. There are plenty of farmers in Texas, but farmers insurance is for them and anyone who owns a home. The thing with this insurance company is that they provide a lot of ways to save through discounts. You can get a discount for a smoke-free environment, if you’ve recently remodeled and even if you are a member of certain professional groups. You can even get a discount if you buy a policy to start in the future before your current policy is done with. They have an average rating on customer service, but that means they are doing a great job most of the time. Allstate is a well known insurance company for many types of insurance, including homeowner’s insurance. They have reliable products and they wouldn’t have been able to build up such a reputation if they weren’t a good choice. In Texas, they offer all sorts of coverage and have some insurance features that other companies lack. They have “extended replacement costs” for when you have to repair something during a time when things are more expensive like a time of crisis. They also offer really great online knowledge centers with lots of articles and information that are useful to homeowners. They want to help, it’s clear. They also have a great reputation for responding quickly to any claims that are filed, even if their every day customer service has been rated as somewhat mediocre. USAA insurance is only available to members of the military and their families. They are very well known for having excellent customer service and attention to detail which makes total sense as our military deserves to get the best treatment possible. They are highly rated by many evaluating standards and they are here to provide military men and women with the cheapest home insurance in Texas. One thing that makes Liberty Mutual a good choice for the cheapest home insurance in Texas is that they offer inflation guard. This is something that automatically changes your coverage to be at pace with inflation and gives you discounts on your policy. This is great because when it comes time to actually use your homeowner’s insurance in Texas, you will not fall short due to inflation. They offer some discounts for safety features like newly installed smoke alarms and sprinklers. They have good ratings on customer satisfaction meaning that most people who use the service are pretty happy with it. State Farm is known for providing trustworthy services. They are the largest provider of homeowner’s insurance policies in the US. They offer the lowest deductible options for home insurance in Texas. Even though a low deductible tends to raise insurance costs, they are still a great choice for the cheapest home insurance in Texas, as they offer the same types of services that many other homeowner’s insurance companies do. Certain Texas towns have very expensive rates for insurance. These include Galveston where plan can run you more than $7,000. The cheapest rates for home insurance in Texas can be found in El Paso where a homeowner’s policy will cost you just over $800. Why is there such a wide range? Well, it’s because Texas is a huge state with so many different areas that each have their own challenges and benefits. Of course if you have a higher deductible, your plan will be cheaper. If you get a plan with $2500 deductible your insurance could cost as little as $1700 or so. If you go with a lower one like $500, you will be more around $2,000. Of course, this all depends on the exact factors of your home and where you live.